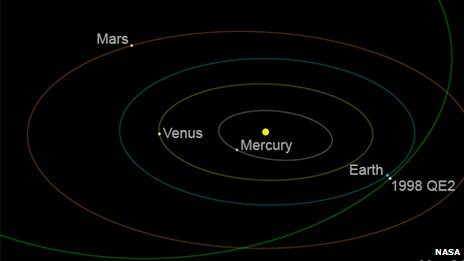 Large asteroid passes by Earth, and its a binary! Now this was a cool thing that I hope not a lot of you missed, not only did a huge asteroid fly by the earth. Huge in the sense that it is big enough to cause a lot of destruction, although not wipe out humanity big. But as it turns out it was a binary system! There was never any danger, the rock missed us by a few million miles, but it was decent sized with a 2.7 km primary and a 600 meter wide secondary this was still a pair of very large rocks. And who knows what effect of the orbital stability of the pair flying past the Earth actually had. Next Goodbye Matt Smith, I will miss your bowtie, but not your forehead.